This is because Fahrenheit is based on a brine scale and the human body. The scale is basically how cold does it have to be to freeze saltwater (zero Fahrenheit) to what temperature is the human body (100-ish Fahrenheit, although now we know that’s not exactly accurate). Fahrenheit was designed around humans. Celsius and Kelvin are designed around the natural world. Celsius is a scale based on water. Zero is when water freezes, 100 is when water boils. 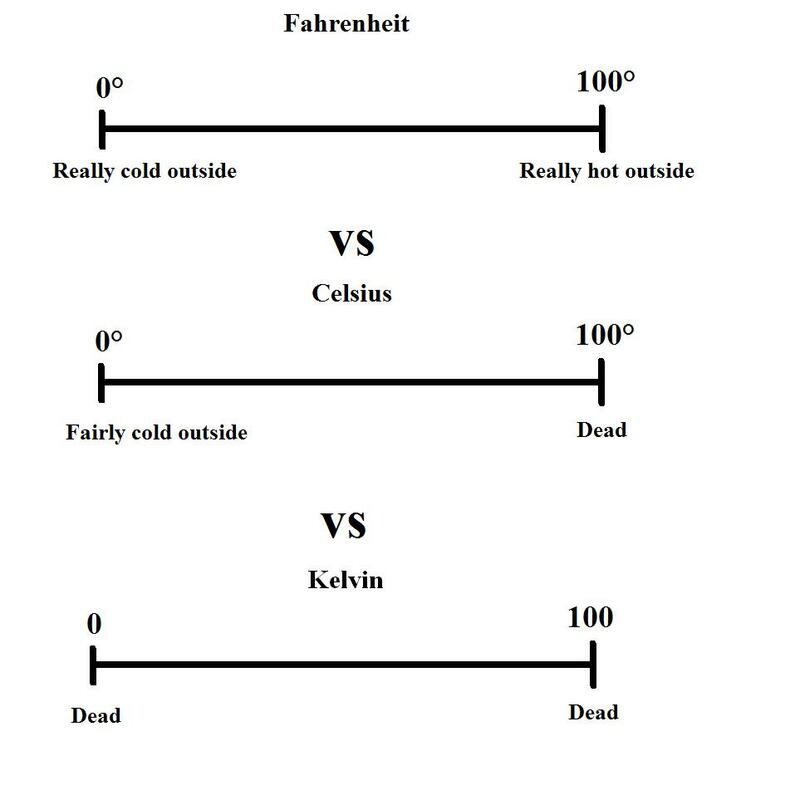 Kelvin uses the same scale as Celsius (one degree, as a unit, is the same between the two), but defines zero as absolute zero, which is basically the temperature at which atoms literally stop doing that spinning thing. Nothing can exist below zero Kelvin. It’s the bottom of the scale.